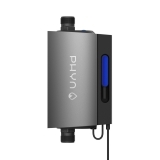 PHYN PLUS SMART WATER ASSISTANT + SHUTOFF is rated 5.0 out of 5 by 1. 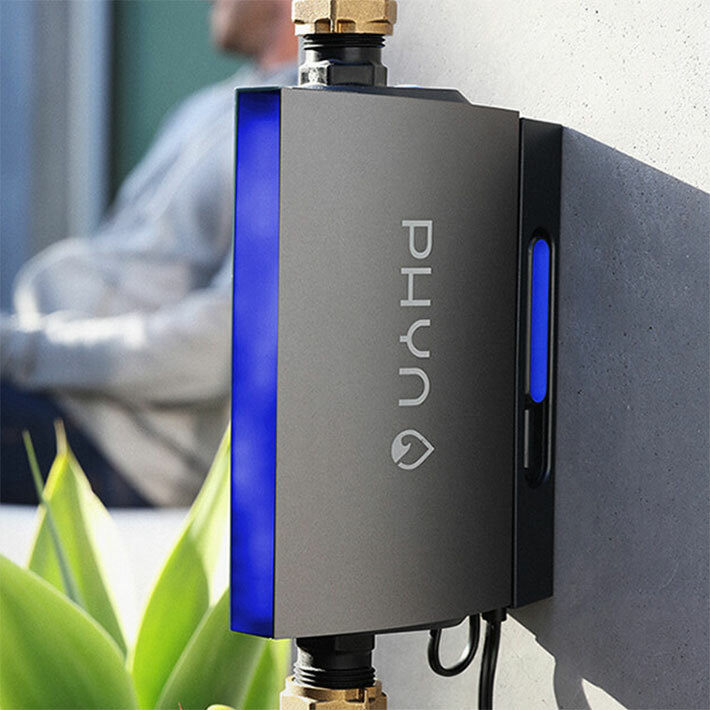 Phyn Plus measures tiny changes in water pressure — 240 times a second — to alert you the moment a leak is detected, mitigate costly damage through automatic shutoff, and diagnose potential plumbing problems before they become an issue. 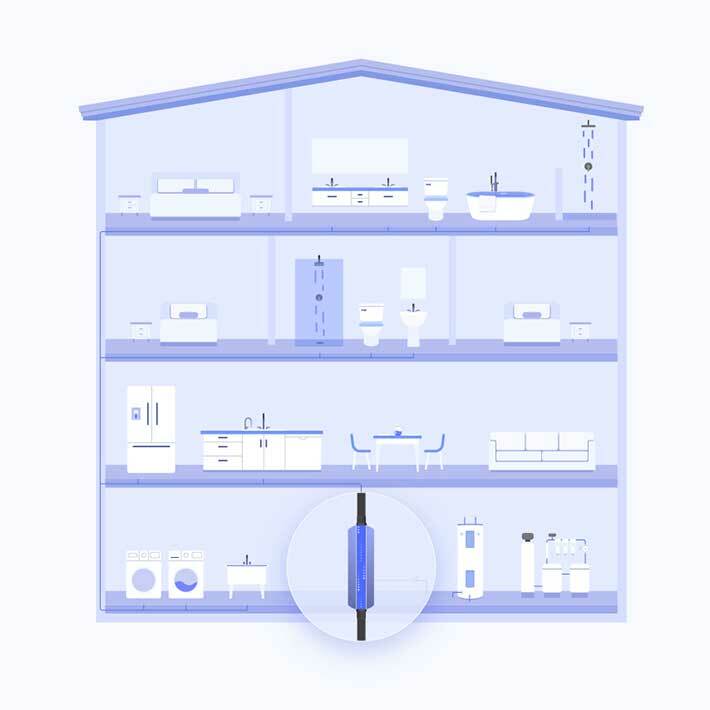 This single device, installed on your home’s main water line lets you manage your water throughout the entire home, even when you’re away. The most damaging leaks happen when you aren’t there to notice. 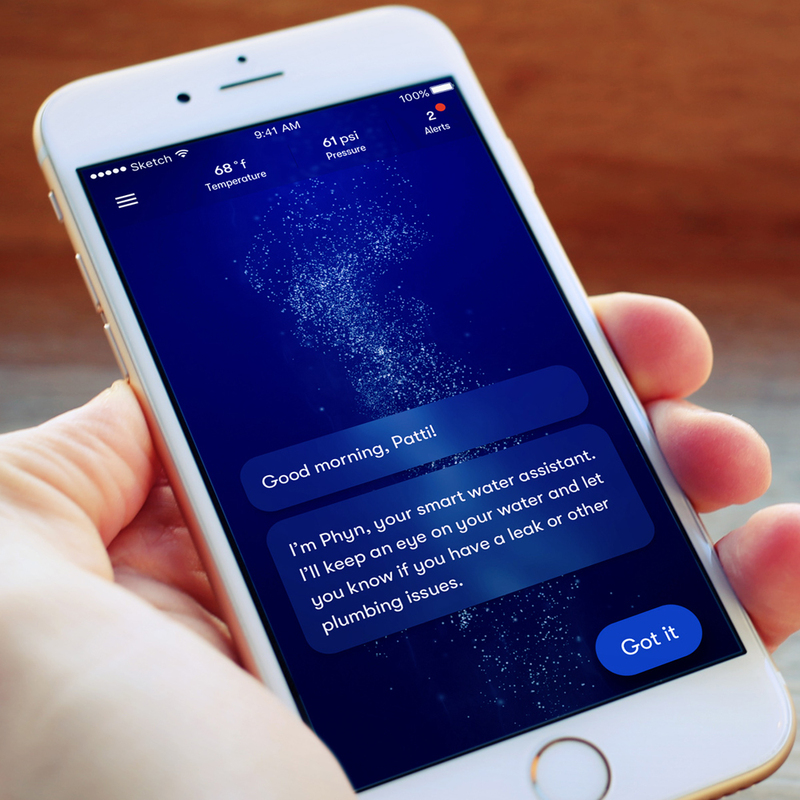 Once Phyn Plus learns about your home, it can turn off your water automatically and the Phyn app provides a direct line to your plumber. 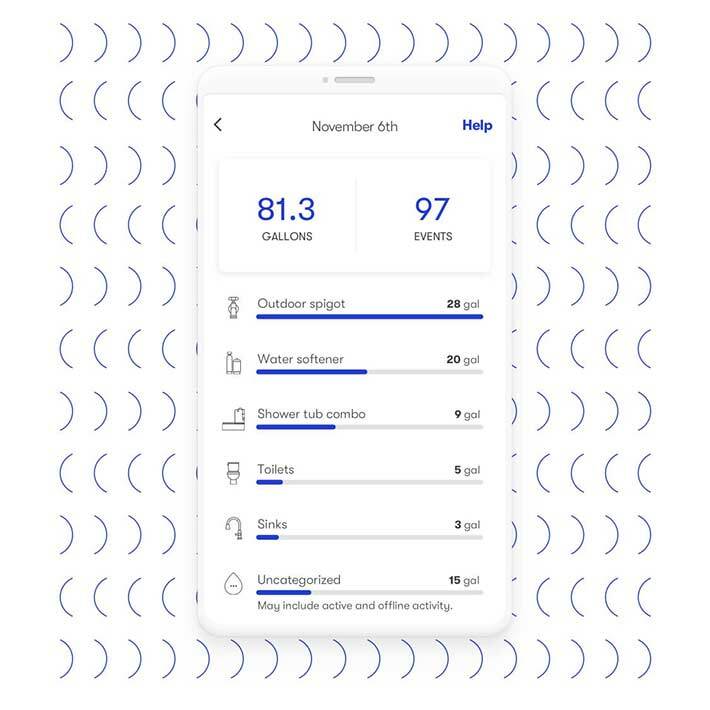 When Phyn detects a potential leak it sends an alert in seconds with all the details you need to help diagnose the issue and fix with your plumber. 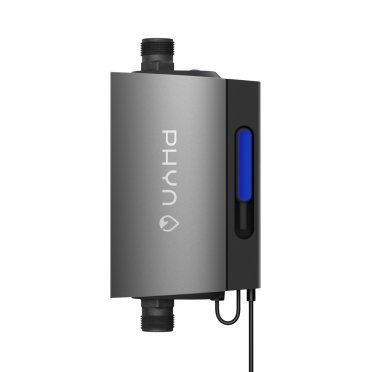 Phyn Plus also lets you turn off your water from anywhere. Get the information you need to make better choices about your water use. Spot usage trends and see how much water your irrigation, showers, washing machine, sinks and more are using. 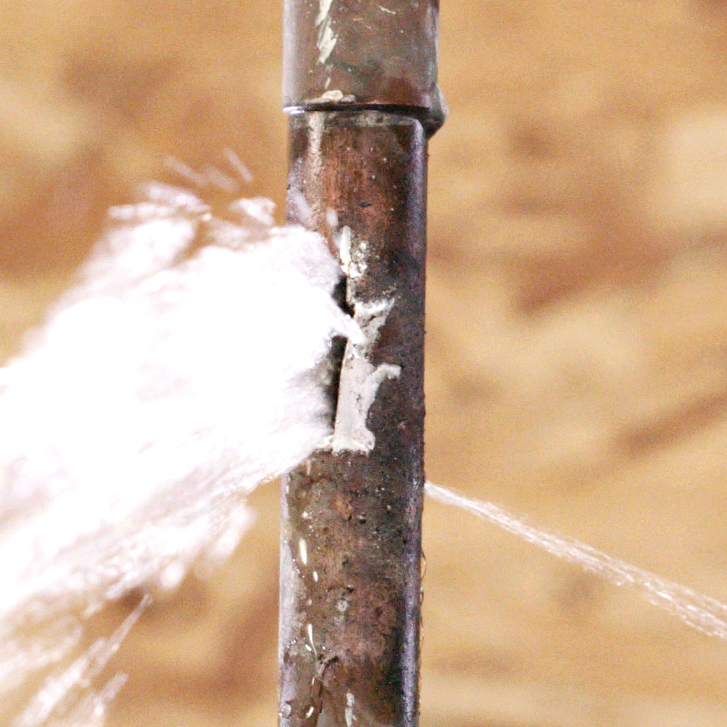 When you run a bath, wash your hands, or water your lawn, the pressure in your plumbing system changes. 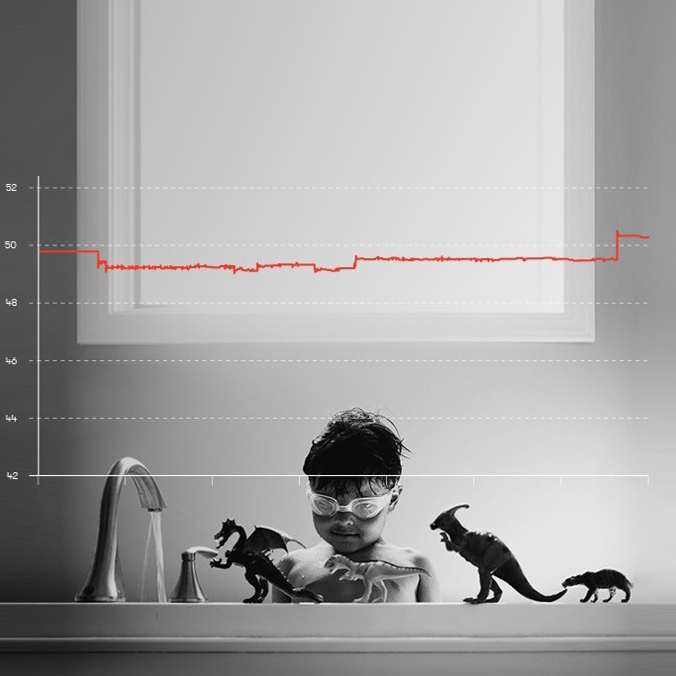 Phyn measures these microscopic changes in water pressure—240 times a second—to fingerprint the unique pressure profile of each fixture in your home. So when you run a faucet, Phyn knows it’s a faucet. And if that faucet leaks, Phyn lets you know. 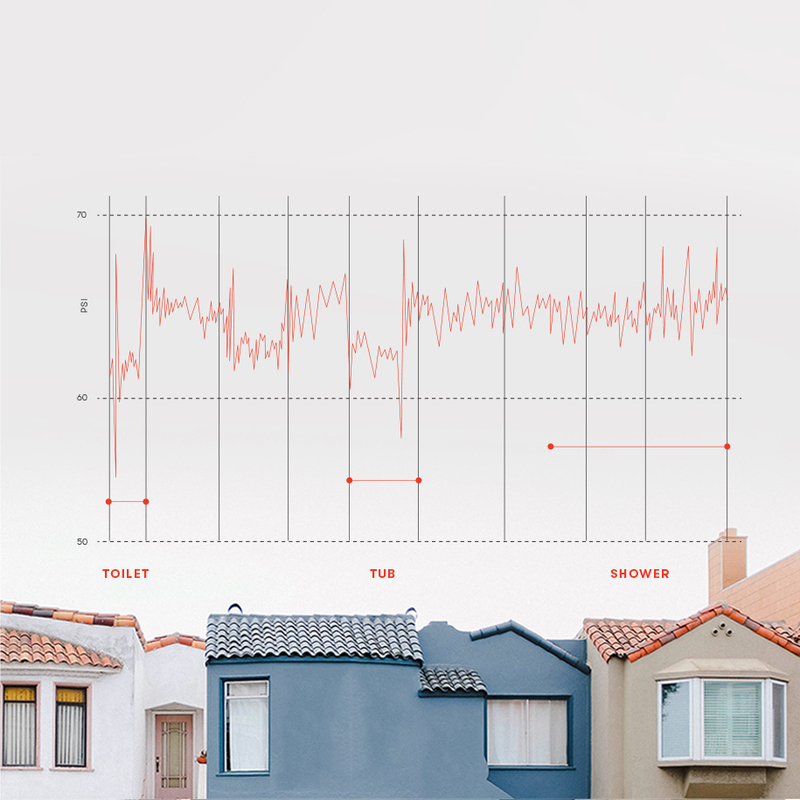 Phyn is installed with the memory of hundreds of thousands of toilet flushes, laundry loads, and pipe leaks from the real homes of beta testers, which serve as a baseline for when something’s routine or something’s wrong. 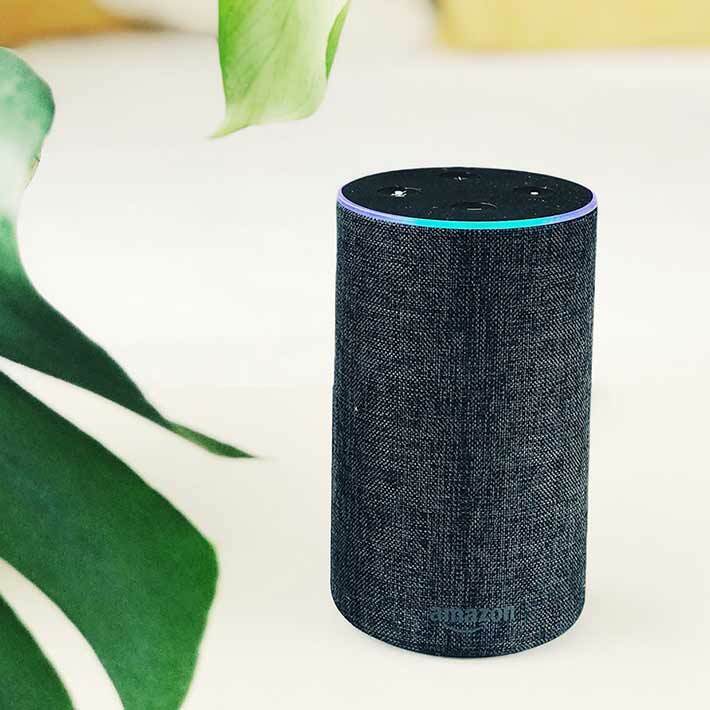 From there, Phyn starts to learn how water is uniquely used in your home, asking occasional questions to improve accuracy over time. Many water monitors require you to place multiple sensors around the home where you think leaks are likely to occur. 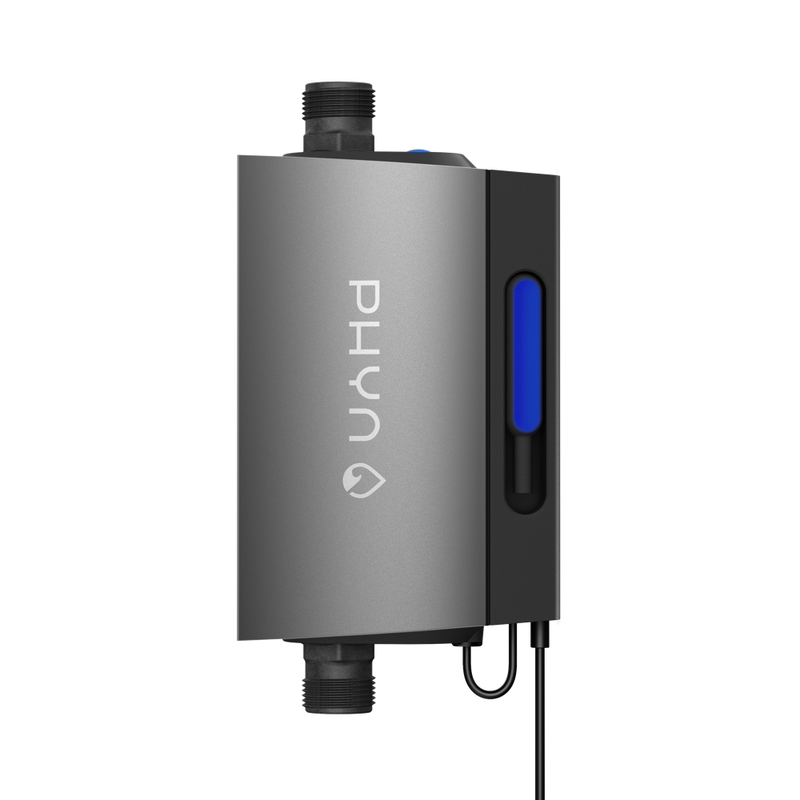 Phyn Plus is a single device that protects your entire home's water system from a single location. Phyn Plus also connects to your existing Wi-Fi so you don't need to purchase an additional hub. 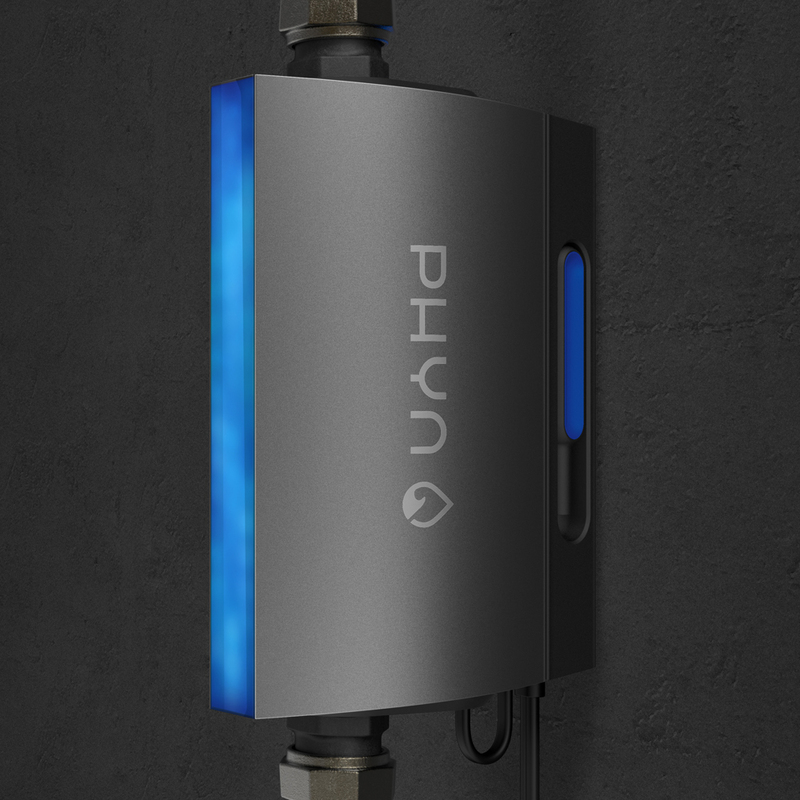 Phyn Plus was designed in cooperation with Uponor, a leading supplier of residential plumbing, and is manufactured by Badger Meters, a global leader with more than 110 years of water metering expertise and innovation. The device is NSF certified, can be installed indoor and outdoor, and is made to withstand the elements. Rated 5 out of 5 by TheTranClan from Amazing product I have been waiting for long time for type of product. When I saw it online I purchase it immediately. It comes with the 1 in to 3/4 adapter. I did the installation myself, but I do recommend certified professional plumber. The app is very easy to view and navigate. Be sure to read the instruction.